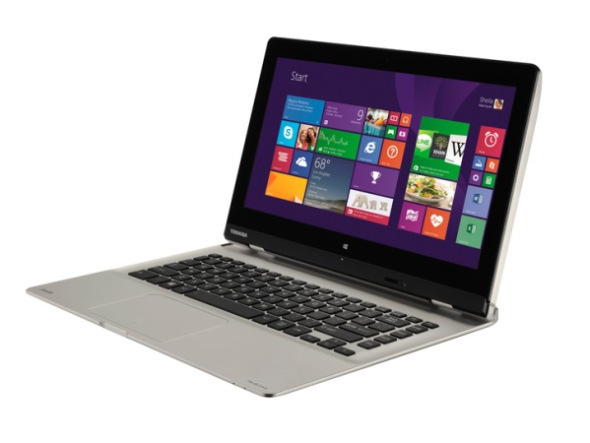 Apart from the two new Encore 2 tablets, Toshiba announced two new ultrabooks placed among the satellite series. Both of the new ultrabooks come with a detachable keyboard and you can use them either as laptop or tablet. Each boasts a 13.3-inch removable display, they both run on Windows 8.1 and enables a seamless transition from a full-featured laptop to a large tablet at any time. A few lines about the specs of the 2 ultrabooks. The Toshiba Satellite Click 2 comes with a 13.3-inch diagonal HD (1366×768) removable display, quad-core Intel Pentium processor, 500 GB hard drive and 802.11ac Wi-Fi. The sound system is tuned by Skullcandy and DTS. 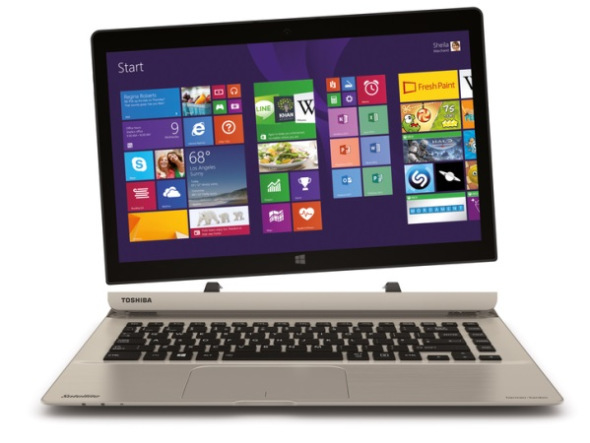 Toshiba Satellite Click 2 Pro – A 2-in-1 Powerhouse. It is equipped with full HD 13.3-inch diagonal removable display, 4th generation Intel Core processor, a full HD display, dual cameras -rear 5MP camera and HD webcam with dual array microphones, premium sound system with an innovative ‘push-pull’ hinge mechanism, 802.11ac Wi-Fi. Other features are the built-in microSD card slot, Micro HDMI and Micro USB 2.0 ports, wireless display support and Intel WiDi6 for screen sharing to big screen TVs. The full size keyboard base includes an LED backlit keys for comfortable typing in the dark, on-board Harman Kardon sound system, HDMI portand two USB 3.0 ports, one with USB Sleep & Charge. 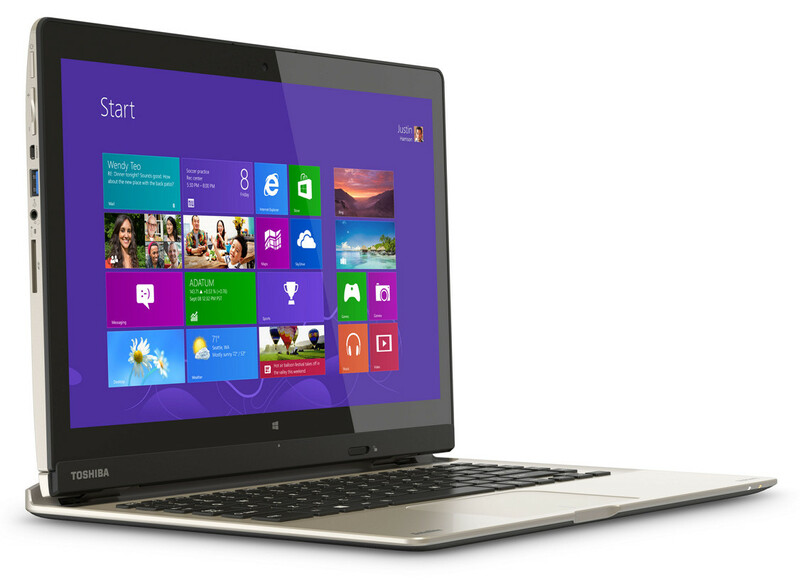 The new ultrabooks will be available in late June. The price of the Satellite Click 2 will be $586.99 and the Satellite Click 2 Pro starts at $1,028.99. There will be one additional version of the Satellite Click 2 Pro with the keyboard base featuring an additional battery and 500gb hard drive, priced at $1,279.99. Availability will be the same as for the other versions. Is the end of the laptops already here? BlackBerry Passport Announced: Can I See Your Passport Sir?